TripAdvisor is a big company. It’s huge in online travel, of course, but by some measures, it is the biggest consumer Web company of any kind based in Massachusetts. Its annual revenues are in the neighborhood of $800 million, and its market cap is north of $6 billion. Its websites get more than 60 million unique visitors a month. It has over 1,400 employees worldwide, including more than 500 in the Boston area. As a company (NASDAQ: TRIP) of this scale, its strategic efforts sometimes get lost in the shuffle of the day-to-day news machine. We all know how popular TripAdvisor is; the mainstream media tends to write about how to use the site from a consumer perspective. We know the company—which has been independent of Expedia for just over a year—has made recent acquisitions in mobile (EveryTrail) and social (Where I’ve Been, Wanderfly) tech. But what is TripAdvisor doing in these areas that stands out as new or different? And where does the company fit into the bigger future of things like local discovery, user-generated content, recommendations, and personalization? 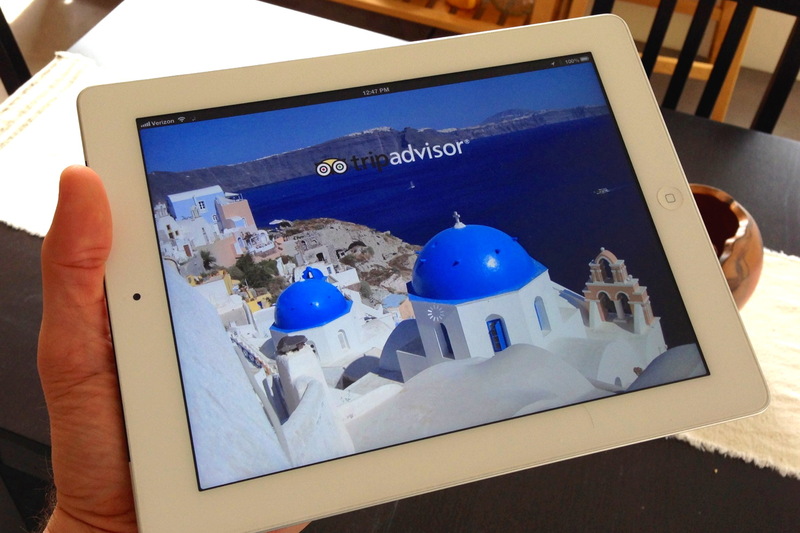 It’s helpful to get a street-level view of what TripAdvisor is trying to do. I’ll take a crack at its social-travel efforts here. Last May, I spoke with global product vice president Adam Medros, who set the table by explaining the company’s philosophy when it comes to social tools. One takeaway was that TripAdvisor sees sharing and recommendations as a layer that can help travelers with inspiration (where to go, what to do) and personalization (the volume of user reviews is great, but only your friends really know you). I recently followed up by paying a visit to TripAdvisor’s headquarters, located in an inconspicuous building in Newton Highlands, just off Route 128. (For the youngsters out there, 128 used to be the center of the tech world. Really.) There I got to shoot the breeze with Jamie Conroy, TripAdvisor’s director of social products, and longtime communications guru Brooke Ferencsik. Through its evolving integration with Facebook, TripAdvisor is trying to help users of the social network “express the facets of their personality that travel represents,” Conroy says. That means the kinds of places they’d like to go, types of restaurants they frequent, and so forth. Last spring, TripAdvisor added a “friend of a friend” feature, which extends the networks of users looking for travel reviews beyond their first connections—which vastly expands their reach if they’re looking for advice on a particular city or region, say. TripAdvisor also has an early version of a trip-journaling product out, whereby you can put the whole life cycle of a trip in one place—and add photos, comments, and updates that you can share with friends when you get back. That all sounds reasonable and useful. I wondered what percentage of TripAdvisor users are currently on mobile vs. Web. Conroy and Ferencsik couldn’t give a hard number, but Conroy said a “significant chunk is mobile” (and that presumably is growing).